Everybody loves hair, but on the scalp, eye brows and lashes. Being hairy on other parts is not preferred by all and at the same time, they want a cure for the same. People end up waxing, trimming or shaving off the hairy regions like arms, legs and chest. Indeed, such measures help for a while and the hair grows up once again after a week or so. At the same time, shaving results in nicks and cuts as well. Waxing, on the other hand, is quite a painful procedure in itself. A better and long lasting procedure for hair removal is laser treatment. People often wonder and search for laser hair removal cost in cities like Delhi or wonder how it works. 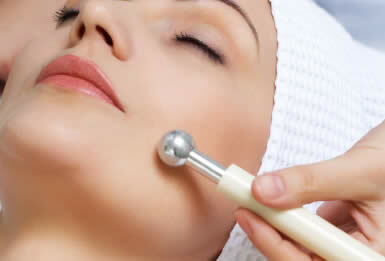 Dermaworld, the leading cosmetic clinic, offers laser hair removal in Delhi at reasonable costs. The procedure might look like something quite technical and sophisticated, and it surely is. The aim of this hair removal process is to damage the follicle and barring future hair growth. For doing the same, a concentrated beam of laser is aimed directly at the hair. The pigment of the hair absorbs the light, creating an ample amount of heat to damage the follicle and disabling hair growth. The post-procedure effects won’t be noticed in a single sitting/session. One needs to undergo a couple of sittings/sessions to get completely hairless, as the follicle cycles differ from each other and are burnt accordingly in each sitting/session. The results last from months to years, which depends completely from person to person. One needs to de-tan and undergo the treatment without applying any sort of makeup or perfumes, as to enable optimal absorption of light by pigments. The cost of laser hair removal depends on the area an individual wants to get treated. Consult the best doctor at Dermaworld and get hairless today.